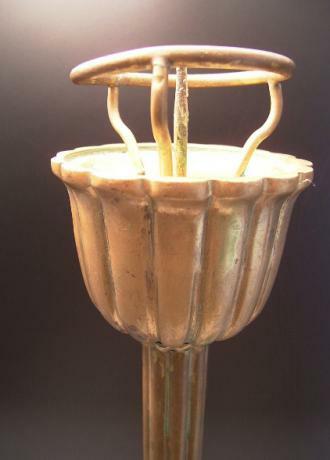 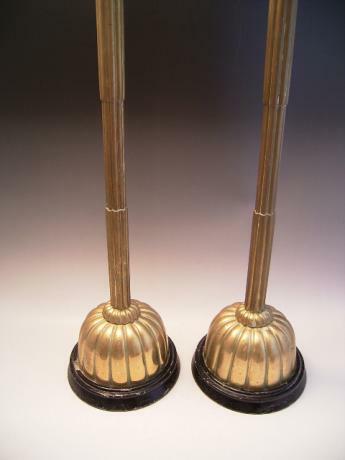 Description: Japanese early 20th century pair of brass candlesticks. 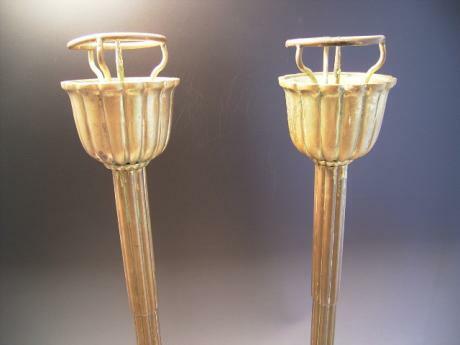 The pair was at one time converted into western style lamps and the black wooden bases were added at that time. 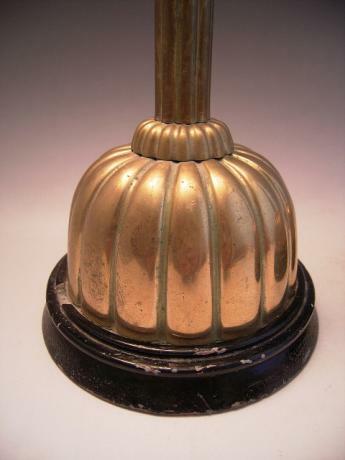 The wide base and top is done in a chrysanthemum blossom shape with 16 petals. 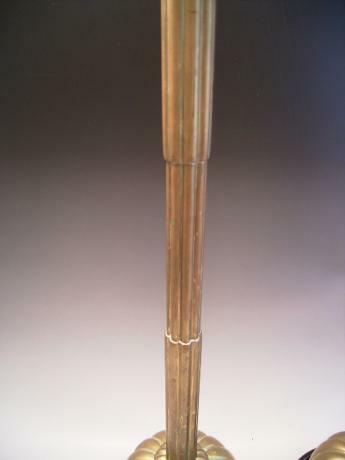 The candlesticks measure 23" tall, 6 1/2" diameter at the base and 3 1/2" diameter at top. 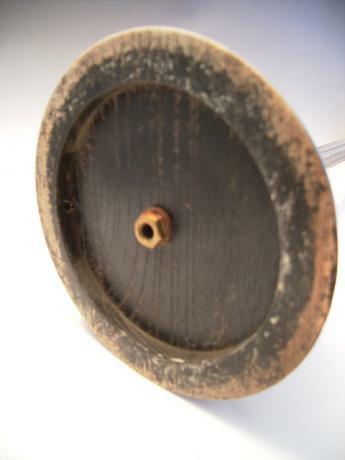 Price is for "as is" condition. 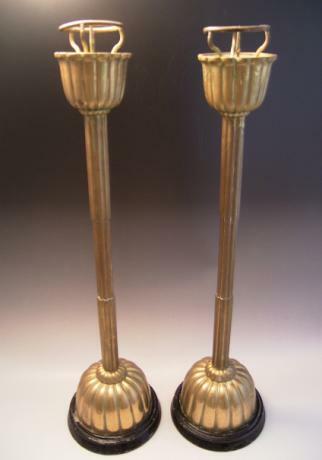 Still a great pair of candlesticks.